“I still find this a bit corny, but I was drawn to fashion through my obsession with Barbie dolls as a child. I used to make miniature outfits for my dolls using left-over fabrics around the house, because my mum would always refuse to buy me toys. So, I guess from that point on, the fun and intrigue of designing and producing garments also reflected my own desire to be independent. 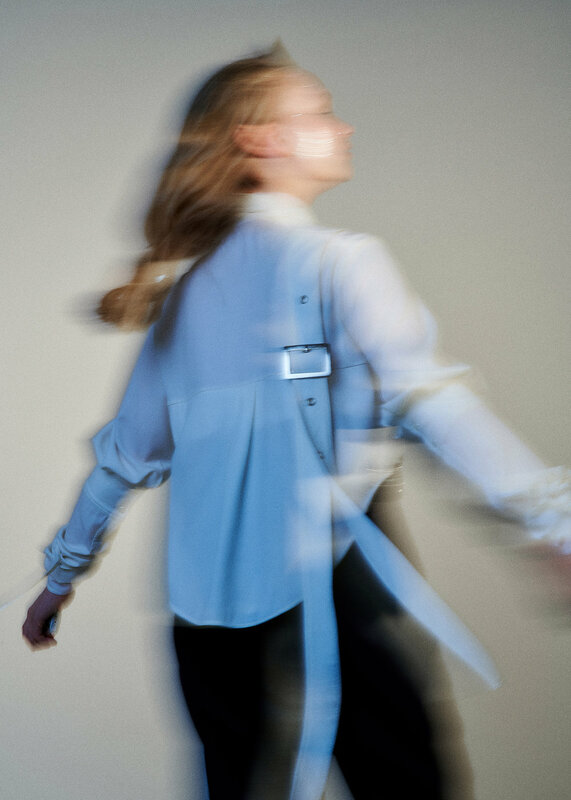 “The range that was shown at MFW 2018 is part of a trio of outcomes from my graduate project - a capsule collection, an online game, and a performance piece - which all intend to amplify the interactions between the viewer, the designer, the performer, and the garment in a fashion presentation context. Entitled Scissors, Calculator, and a Beige Coat, this project has been influenced by writings on relational aesthetics, spectatorship and contemporary performance practices. The game component is a minimal ‘choose your own adventure’ narrative, with various scenarios that are each accompanied by two choices to act upon. 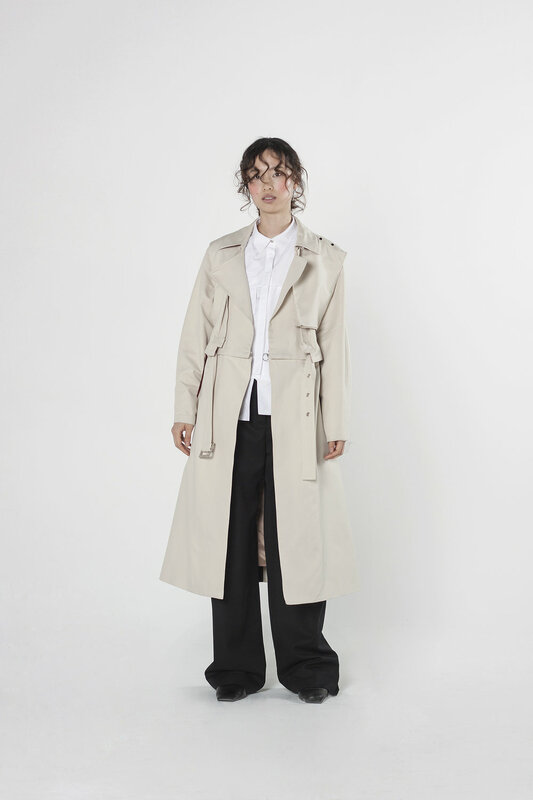 The particular choices made by the participant will propel the narrative, which is in turn reflected in the garments through a sequence of structural transformations, allowing the original outfit — consisting of a beige coat, white shirt, and black trousers — to shift into sixty-two different configurations in accordance with each of the conclusions. 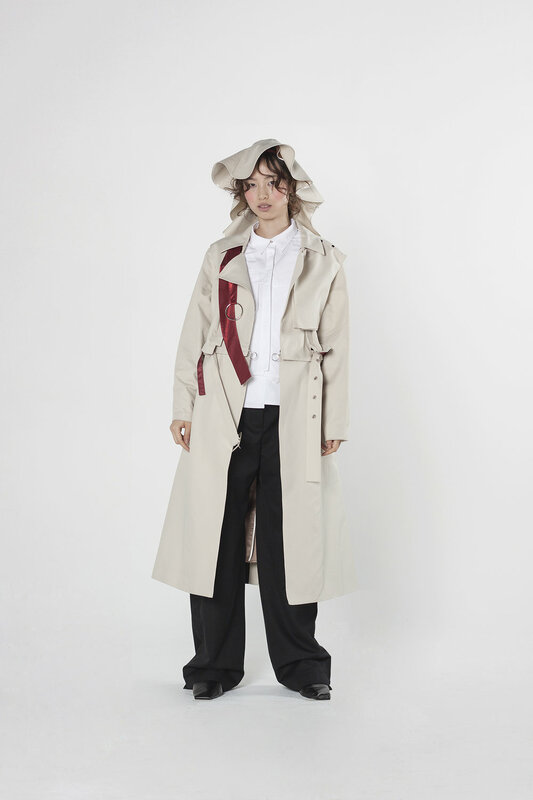 These transformations are made possible through splitting a single garment into individual, multi-functional pieces: such as hiding a glove up the sleeve, a skirt that is also a blazer, and a bodice that takes on the gesture of a backpack. The narrative itself is underlined with themes of resourcefulness and independence, which have been based on a series of events and self-reflections from my childhood, following my migration to Australia in 2007. YOUR LOCAL TEXTILE & FASHION GO TO’S? 3. Davisha | Textile Merchants. 5. Mode and Mode | a periodical that addresses printed matter in fashion practice. 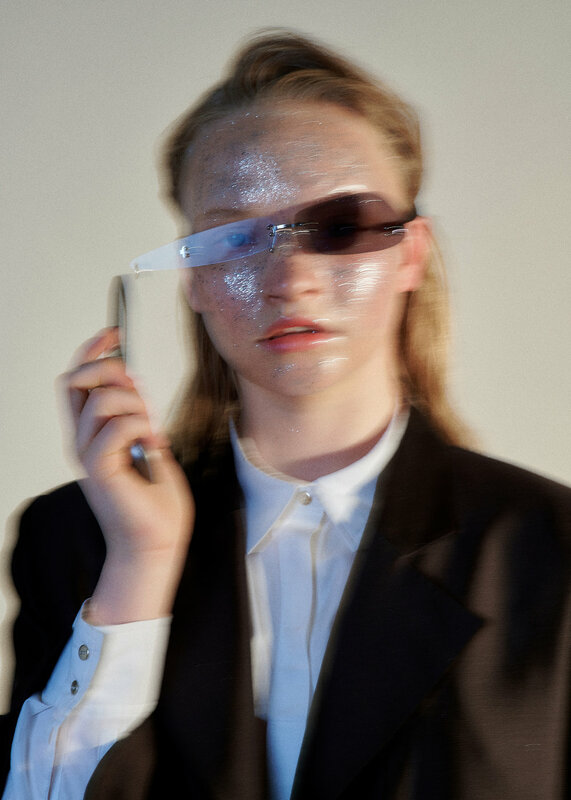 Take a peek at Helena’s portfolio here; www.helenadong.com and follow the designer’s journey on Instagram at @helena_dong. Want view Helena’s online graduate presentation? Email her at misshelenadong@gmail.com for your individual access code and follow the link below.